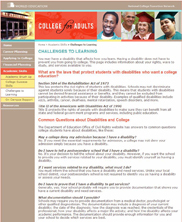 College for Adults is designed to help adults prepare for college on their own or as a supplement to classroom-based instruction through a free web-based resource. World Education is redesigning the existing website to make it more user-friendly for English language learners and to have more features to assist adults in their studies. We are working in partnership with three adult ESOL providers and their students to make sure the site is comprehensive and user-friendly for first-generation college students and English language learners. The site will also be part of the national Learner Web project. In this development and beta testing phase the project will focus on Massachusetts, but later will serve a national audience of adult learners. 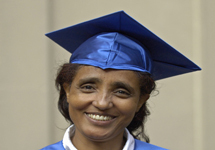 College for Adults is funded in part by the Verizon Foundation.